One of the first gundogs in the world. 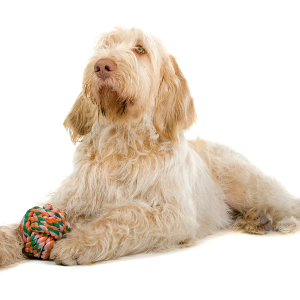 The Spinone Italiano enjoy dog sports such as tracking, hunting, field trials, agility, and obedience. 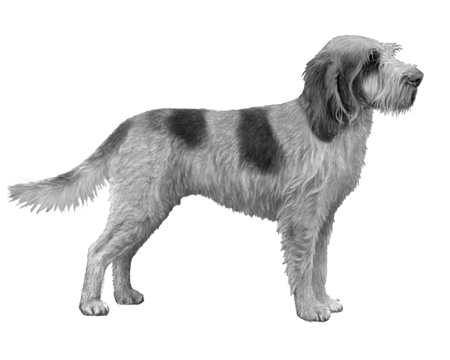 Its moderate, steady trotting gait makes the Spinone Italiano a good jogging companion. Both stubborn and sensitive, but responds well to reward-based obedience training using treats and favorite toys. 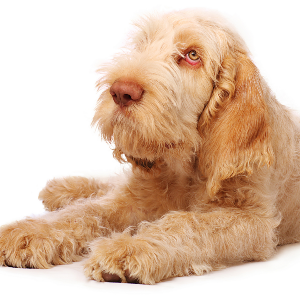 The Spinone Italiano is considered to be one of the first gundogs in the world. 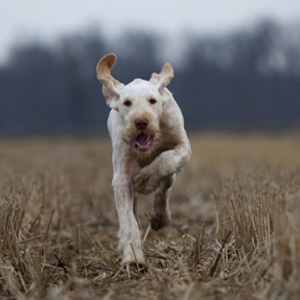 They were first bred in Italy during the 15th century to be pointers and retrievers. The breed was recognized by the American Kennel Club in 2000 and, though much loved in Europe, these dogs have yet to become popular in the United States. Their exact origin is the subject of some debate. 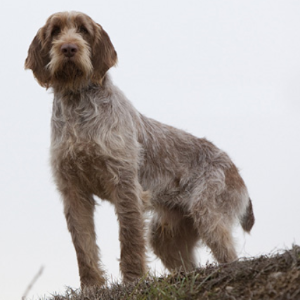 Most people believe the breed descended from the Spanish Pointer but some argue the Russian Pointer was the main influence. 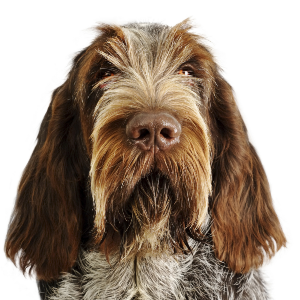 Others still insist the Wirehaired Pointing Griffon or German Wirehaired Pointer played a role. What there can be little argument about is how much we love these friendly, gentle pets.